Hillarie is the New Jergens Girl! The favorite moisturizer of generations of women chose the 25-year old beauty -- a commercial, print and runway model -- for her signature glowing skin and vibrant personality. Kacey Pamintuan, Jergens Brand Officer said Hillarie’s personality fits the brand perfectly. “She is elegant and aspirational. She embodies what a real Jergens lady is.” Hillarie will represent the brand in its 2016 Moist Glowing Skin Campaign, grace its print ads and videos, and star in Jergens events. As the New Jergens Girl, Hillarie will create awareness about skin health and beauty as well as stress the importance of moisturizing to achieve glowing, beautiful skin. Superbly moisturized skin is made possible by an illuminating Hydralucence™ blend, a breakthrough technology unique to Jergens that forms a continuous double layer of moisture on skin when applied. The result is an awesomely smooth surface that lets light reflect off the skin. Skin looks luminous on the outside, while inside, a continuous protective barrier of moisture is formed, making sure skin is constantly nourished from its deeper layers. 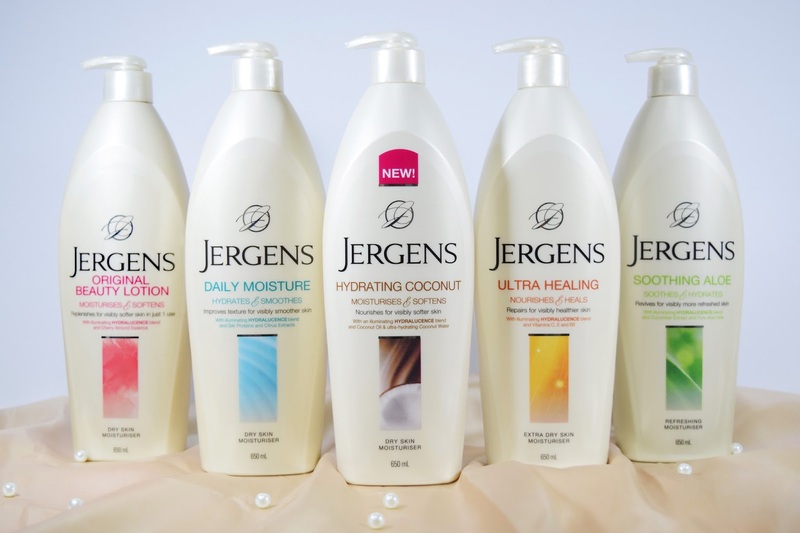 Five variants of Jergens skincare products reformulated with HYDRALUCENCE™ blend is highlighted in the campaign. Jergens Original Beauty features the Jergens trademark cherry-almond fragrance, and now has an improved moisturizing formula for visibly softer skin with just one use. Jergens Ultra Healing is recommended for ultra dry skin because it penetrates through five layers of the skin’s surface and helps re-moisturize heels, elbows, knees and sensitive skin. Jergens Soothing Aloe soothes, hydrates and refreshes skin because it has the triple power of aloe, eucalyptus and cucumber. Jergens Daily Moisture contains silk proteins and citrus extracts that provide continuous skin moisture for up to 24 hours. Jergens Hydrating Coconut has a fast-absorbing, refreshing hydrating formula with coconut oil and coconut water to turn dry skin supple and luminous. “Our bodies can’t go a day without water. In the same way, our skin shouldn’t go a day without hydration. Moisturizers are the “water” for our skin. They lock in moisture and make our skin smoother, softer and fresher-looking, keeping skin at its best. Beautiful, moisturized skin really does boost one’s confidence and can bring out the best in us. Moist, glowing skin is your most beautiful skin! You can get that head-to-toe glow from Jergens,” said Hillarie. Jergens Moisturizers are distributed in the Philippines by Vibelle Distribution, Inc. and are available in leading department stores, supermarkets and retailers nationwide.